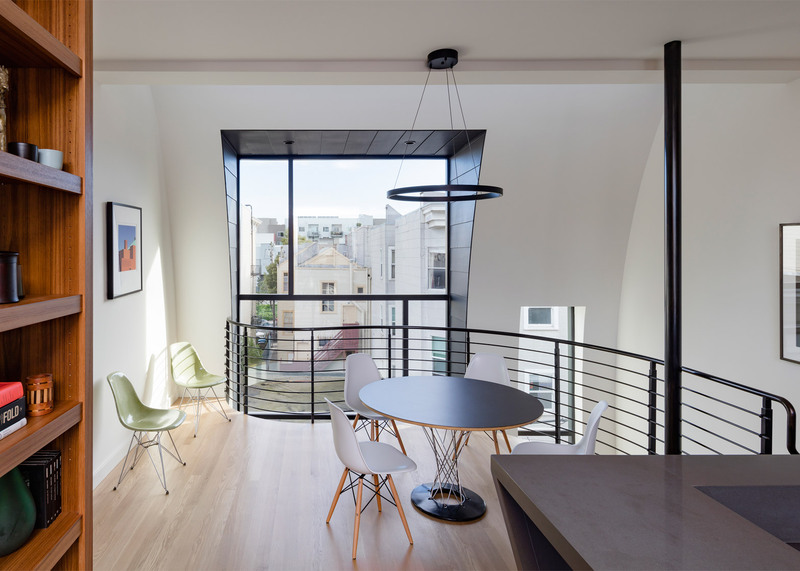 Local studio Stephen Phillips Architects has completed a black duplex in San Francisco that aims to challenge the city's standard housing typologies (+ slideshow). 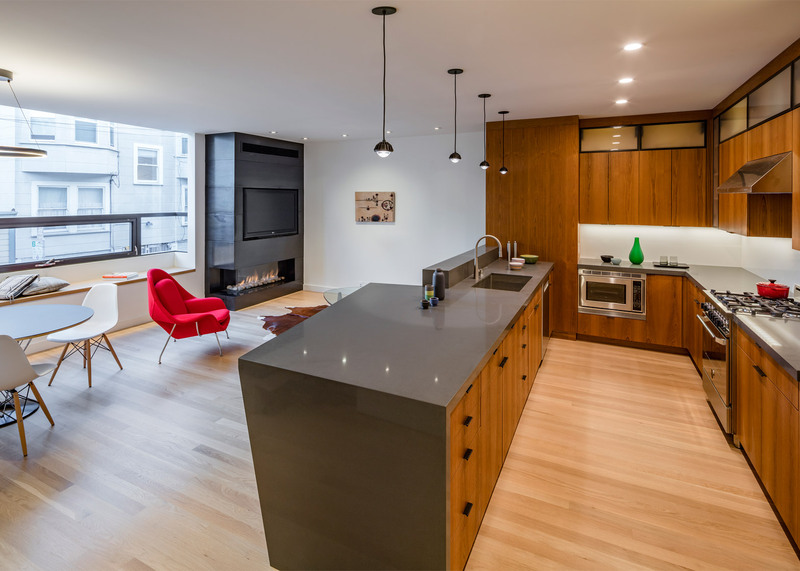 Called Black Mass, the residential building is located in the Hayes Valley neighbourhood, which is dotted with traditional Victorian and Edwardian townhouses. Once a drug haven, the area has undergone a dramatic transformation since an elevated freeway was removed in the 1990s. Today the district is known for its high-end restaurants and boutiques. 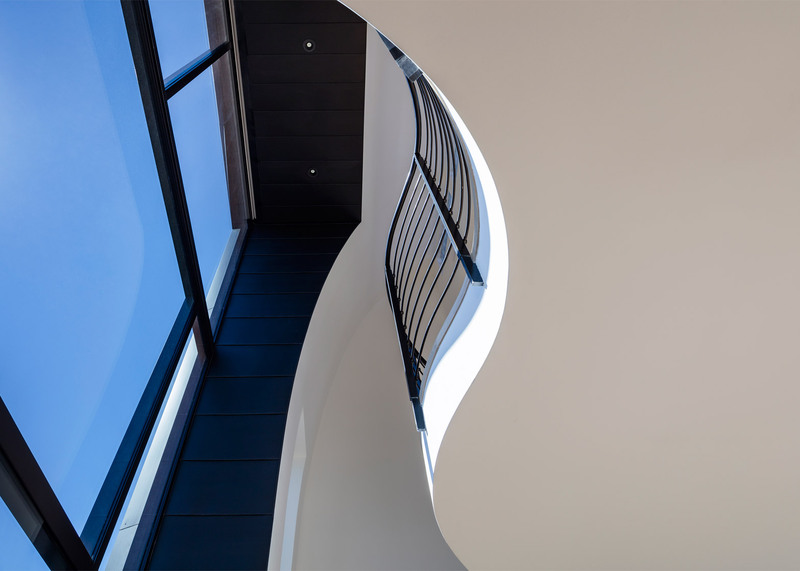 For a small lot in the neighbourhood on Linden Street, which resembles an alleyway, Stephen Phillips Architects – also known as SPARCHS – was commissioned to design a modern townhouse with two apartments. The architect set out to create a building that embraced the local vernacular and merged it with a "contemporary sensibility". 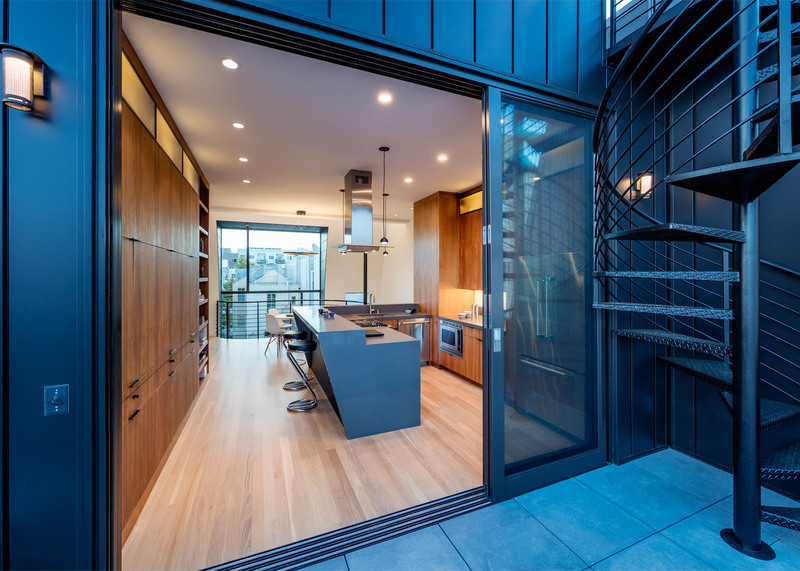 "Hired to design a speculative infill duplex for a local landowner, Stephen Phillips Architects aimed to challenge the normative San Francisco housing typologies," the studio said. The four-storey structure encompasses 4,200 square feet (390 square metres). 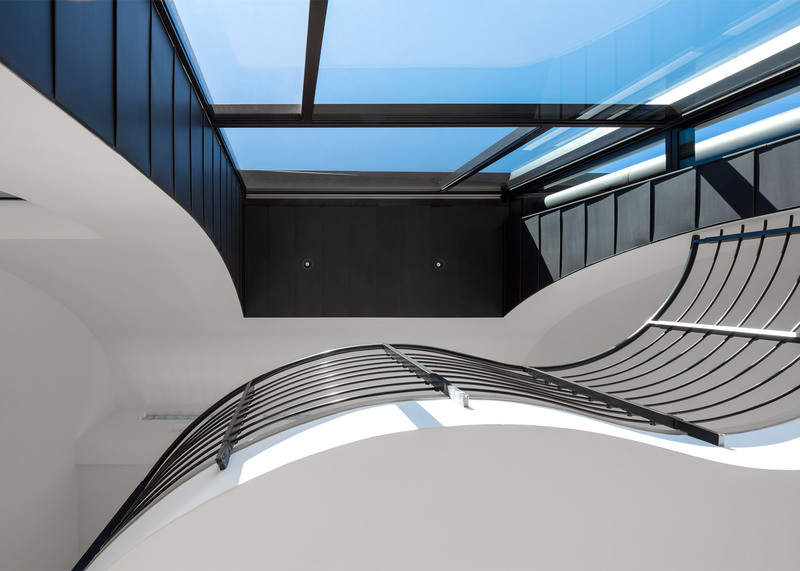 The architect clad the building in black zinc panels that will fade over time to a soft grey. A curved, mansard-style roof visually mitigates the building's height while also creating a dynamic interior space. The studio creatively interpreted local zoning codes by incorporating features such as a cornice and a bay window. A slender black chimney runs up the face of the building. "As a black mass, the building form is at once powerful, indiscernible, and provocatively complex, revealing itself through the perceived movement of light, shade and shadow on its varying buildings surfaces," the architect said. The apartments feature open floor plans and double-height circulation spaces. 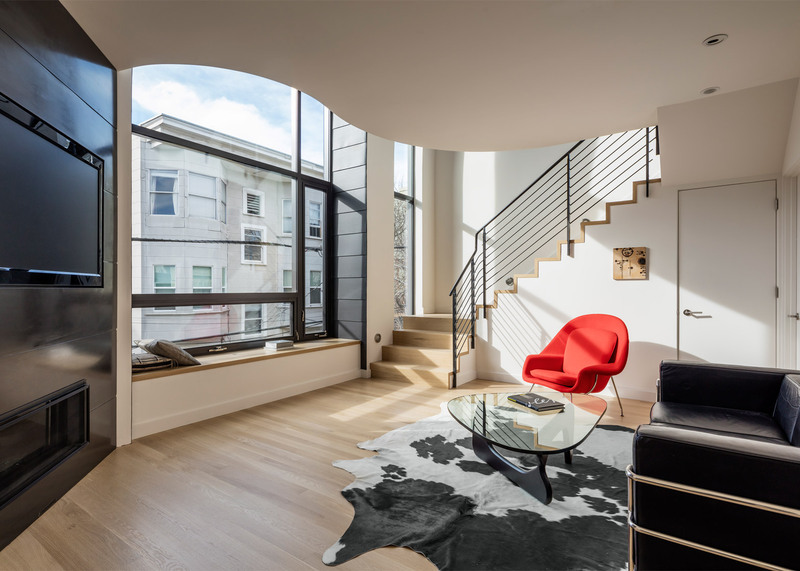 In one unit, a curvy balcony overlooks the living room. 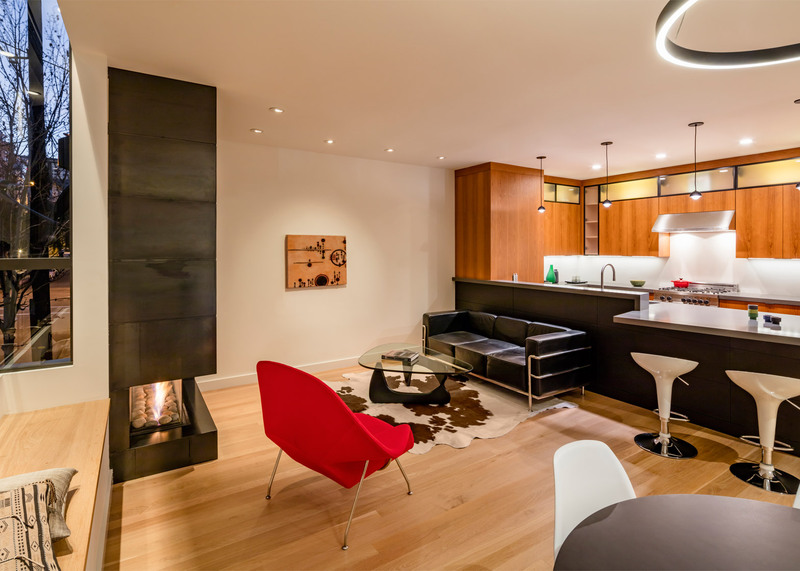 To add warmth to the space, the architect installed teak cabinetry and white oak floors. 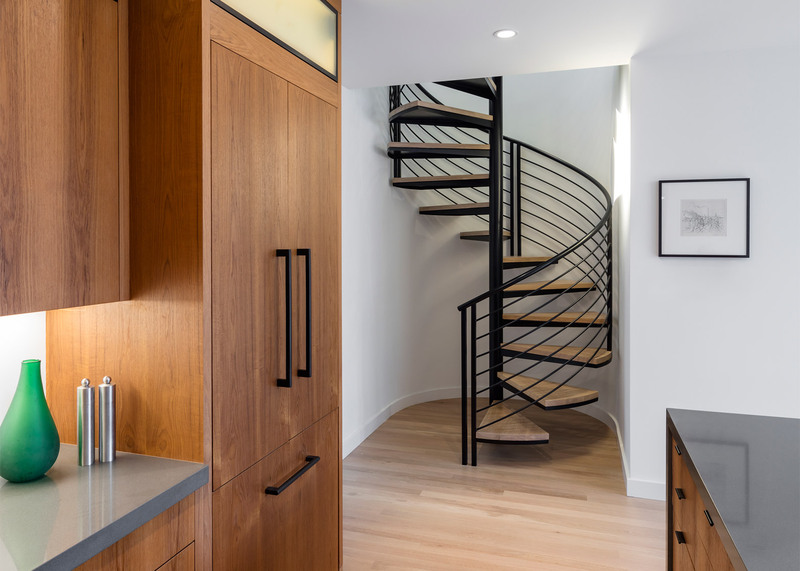 Countertops are made of concrete and marble, while stair railings were fashioned from artisanal metal. 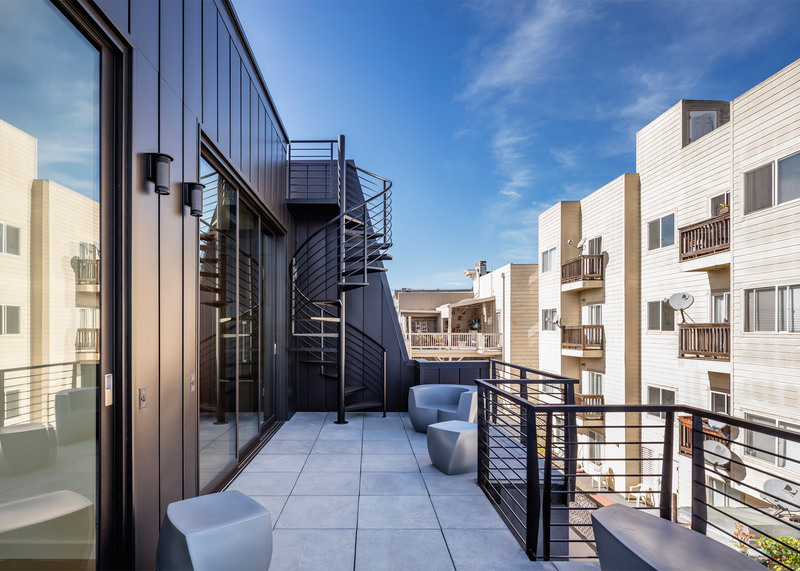 A spiral staircase leads from a balcony to a simple roof deck, where occupants can take in expansive views of the city. 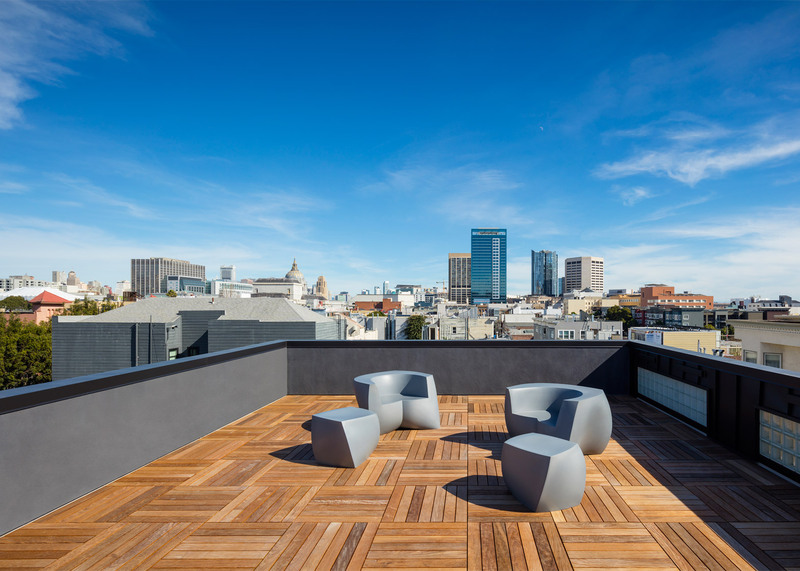 Other residential projects in San Francisco include a renovated home with verdant terraces that evoke Japanese gardens and a multi-family building with white plastic cladding and lush landscaping. Photography is by Tim Griffith.